A septic system is a must-have if you live in an area where your home is unable to be connected to your local sewer plant. The septic tank is there to collect all of your wastewater, treat it, and then dispose of the water into your drain field. 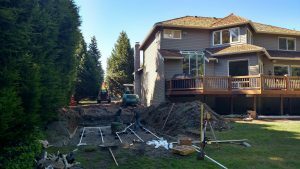 If you are looking for a good septic installation service in Smokey Point, our staff at Schleg Valley Construction is here to help. Working with a reputable professional for the installation fo your septic tank will be your best bet. Not only do you need a company that comes with a great deal of experience but you also want to have full guarantees for all of the work that is performed. We will be happy to send someone out to your new home construction lot so that we can get to work on mapping out the best location for your septic installation. With any new construction, the overall complexity of the installation often depends on the size, materials, and the location of the tank, as well as any permitting that needs to be taken care of. Our staff will work to ensure the right site is chosen and we have our own heavy equipment to take care of the groundwork. We can also take care of the design and any permits that are necessary so that you do not have to worry. It can be an exciting time when you are building a new home, so you can feel confident leaving your septic installation up to our professional staff at Schleg Valley Construction. 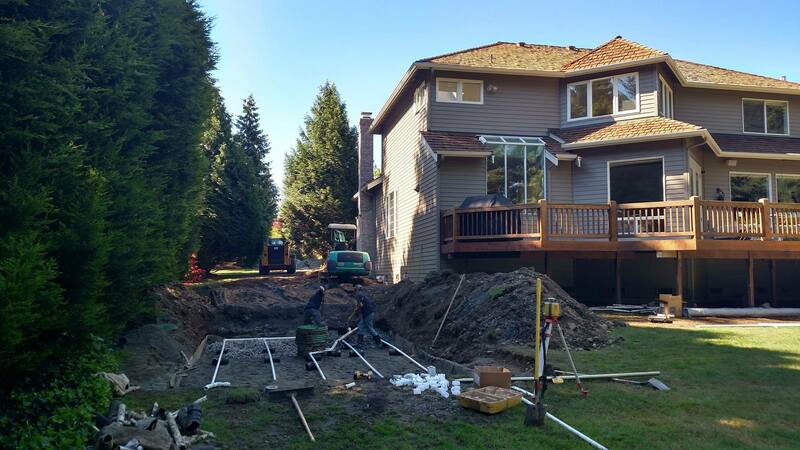 Schleg Valley Construction would like to help as your professional septic installation service in Smokey Point. Call us at (425) 312-6750 for an appointment.